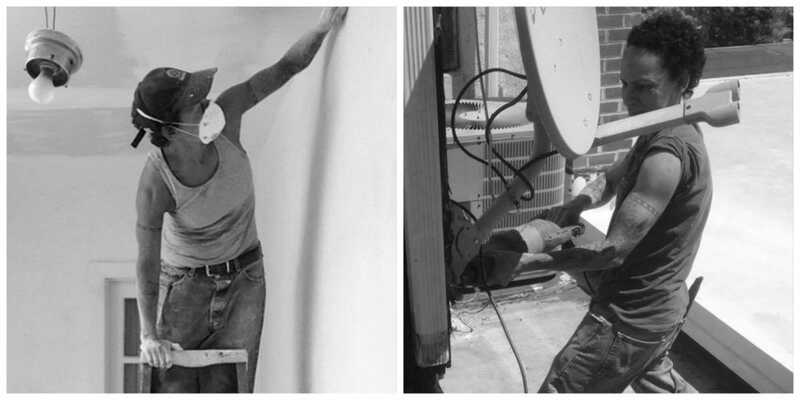 A majority of the home building and design industry has been male dominated throughout history. According to the Bureau of Labor Statistics, less than 10% of the construction industry is made up of women. In celebration of Women’s History Month, we are celebrating four fearless, hard-working women in our industry who went against the odds, followed their passion and made a living for themselves. 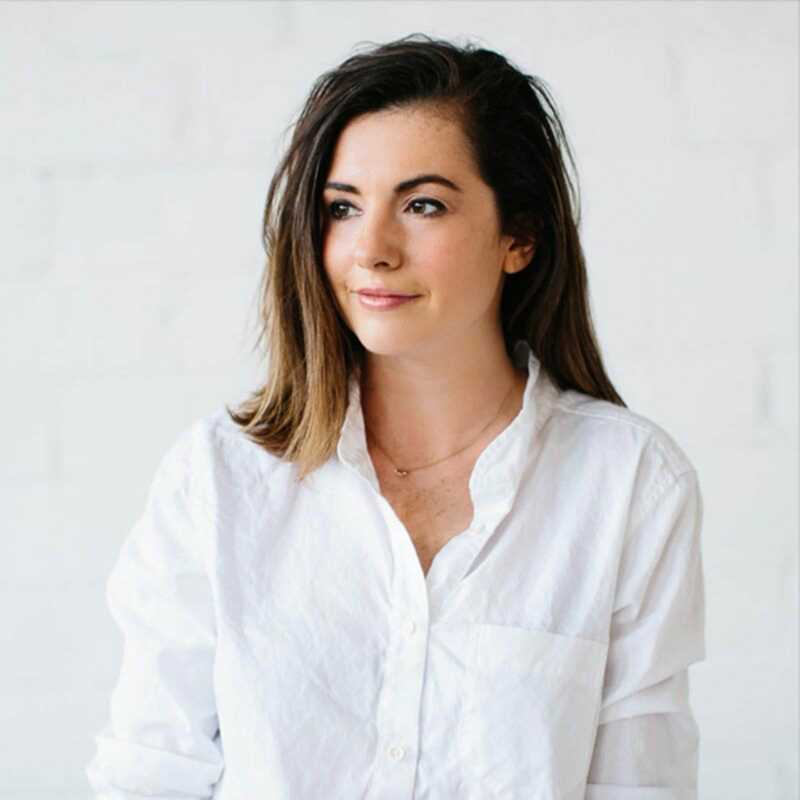 Meet Kate Arends, the creative and multichannel marketing consultant, blogger and founder of Wit & Delight. Wit & Delight is known for two things: their impressive marketing and design agency (Wit & Delight Studio) and their amazing, addicting lifestyle blog. The Minneapolis, Minnesota based studio specializes in brand consultation, content creation, art direction, styling and more. At the beginning of your career, did you ever feel like you weren’t taken seriously as a woman in the industry? Was there a turning point for you to realize that you were just as capable and strong as anyone else? The lifestyle industry is pretty much a female dominated industry, so online, not so much. However, when I told people in the agency world I was going out on my own to do this “blog thing” as they put it… I definitely felt defeated and like no one believed I could make something of myself. 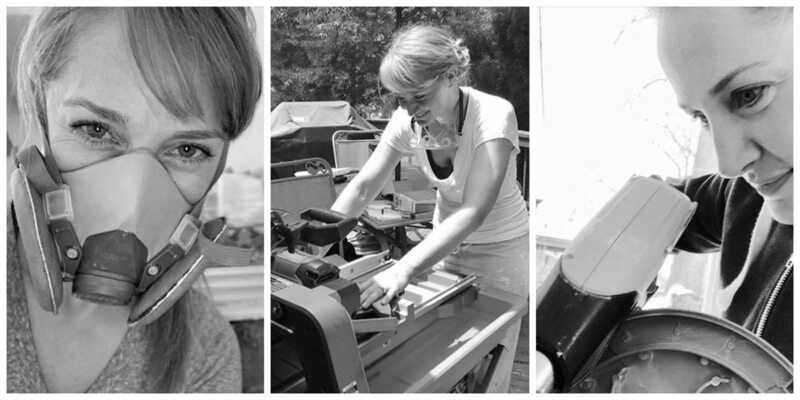 Have you ever encountered any obstacles or setbacks for being a woman in the home building and design industry? I’ve worked with contractors outside of McDonald Remodeling (our partner of choice) that were pretty dismissive of how much I knew about the construction process. There are small ways you’re dismissed as a woman daily and unfortunately, you encounter it more often in male-dominated industries like construction. Why should more women consider this path? Women bring a unique skill set to the workplace. While I try to avoid generalities, women do tend to be great peacemakers and that’s an attribute in a leader that is becoming much more attractive at an executive level. Soft skills are starting to be seen as more valuable to retaining staff, employee engagement, conflict resolution, and staying relevant in an ever-changing consumer landscape. What women inspire you the most? Women who use their empowerment to pay it forward. 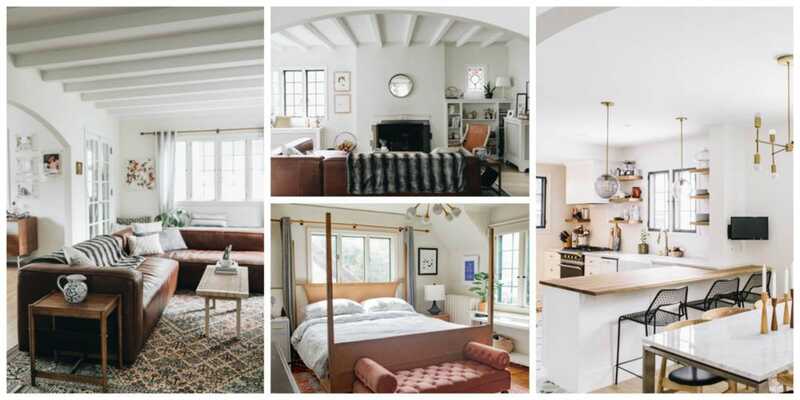 Keep up with Kate’s gorgeous array of home designs and lifestyle imagery on Instagram. When Shelley Halstead was 20 years old, she dropped out of college and took a six-month hiatus to travel. That six-month hiatus turned into three and a half years. During her travels to Europe, India and Pakistan, Shelley was inspired by countless projects she saw. “Everywhere I went, there were projects going on that I wanted to be a part of, but I didn’t have any skills,” Shelley said. When she got back to the U.S., she took a carpentry class at a community college because she wanted to build her own house. Shelley didn’t know how to build, and she didn’t have any money—she had the dream, the willpower and the strength. Having fought forest fires with a crew based out of on Mt. Hood, Oregon in college, Shelley’s level of strength wasn’t even a question. She took on the next challenge to learn multiple trades and did electrical work in Antarctica. Once she returned, she joined the union and completed her carpentry apprenticeship. Not only did Shelley eventually finish her undergrad, but she even completed law school. Shelley was determined to have the skills and knowledge to stand up for herself and others who face racism and other forms of discrimination. Years later, Shelley continued to pursue her potential and founded Black Women Build – Baltimore. “I have the skillset, and I have always wanted to help people. Where people see disrepair and dysfunction, I see potential,” Shelley said. Her organization works to bring home ownership to Black women in Baltimore. Black Women Build – Baltimore (BWBB) provides a safe and supportive community where Black women can learn carpentry, electrical work and plumbing during home improvement projects. I’m reliving it here a bit in Baltimore. There are more women in trade on the West Coast because it is more progressive. Out here, people say, “You’re a carpenter? You’re a contractor?” People are always surprised that I am actually doing the work. I don’t think there have been a lot of women carpenters, tile setters or plumbers—women in the trades. When I go and ask someone something, for example, “what would it be to stabilize a couple of these houses?” I am talked down to like I don’t understand what they are talking about. Dude, I did bridge work; I have done so much concrete. People are a little bit incredulous that I know as much as I know. I’m not saying I know everything because I am still learning every day. I would hear stuff that I really didn’t want to hear and see things written in the bathroom and on my personal protective equipment. It was difficult for me because I’m not someone who is meek. I’m not going to let someone talk about women, Black people or the LGBTQ community in a certain way. It’s just not who I am. The hate has been a deterrent for some women, Black and LGBTQ people from joining the industry for so many years. It takes a certain person to either fight it or play along. This led to the mission behind BWBB—we empower women to find their own strength to support themselves. It’s not that we didn’t have the power, we just didn’t have access. You can make a really good living. You are able to fix your own things. Labor can be one of the most expensive things in home remodeling. Trade work is empowering yourself, your circumstances and your self-esteem. You can create a sense of pride. You can literally say, “I built this thing.” Being able to change space and see yourself in a place that’s different from where you were is phenomenal. What advice do you have for women joining the industry? It’s OK to be scared. It’s OK to not know. Some people will make you feel stupid for not knowing, but everyone didn’t know how to do something at some point. We all had to learn how to do this. I forget how much I’ve learned when I talk to people. There was a time when I didn’t have any of this knowledge, and I was terrified. I didn’t know how to set a cabinet until somebody said to me, “They are just boxes. You’re just hanging boxes.” You don’t have to act like you do know. If you are entering the trade, you are there to learn. Women that see our potential and move toward it, whether it is in art, literature, building or government. Women who see something and think we can do something with this or we can make it better. How is Black Women Build – Baltimore creating a positive impact on the industry and the community? We are expanding the possibility of how people see the trade and how Black women see themselves. I think that is so important. It’s like something you have never seen before. When we do these houses and people come by and see that there are Black women building these houses, it is going to blow their minds. It’s the possibility that opens for someone, and I think that is so important. 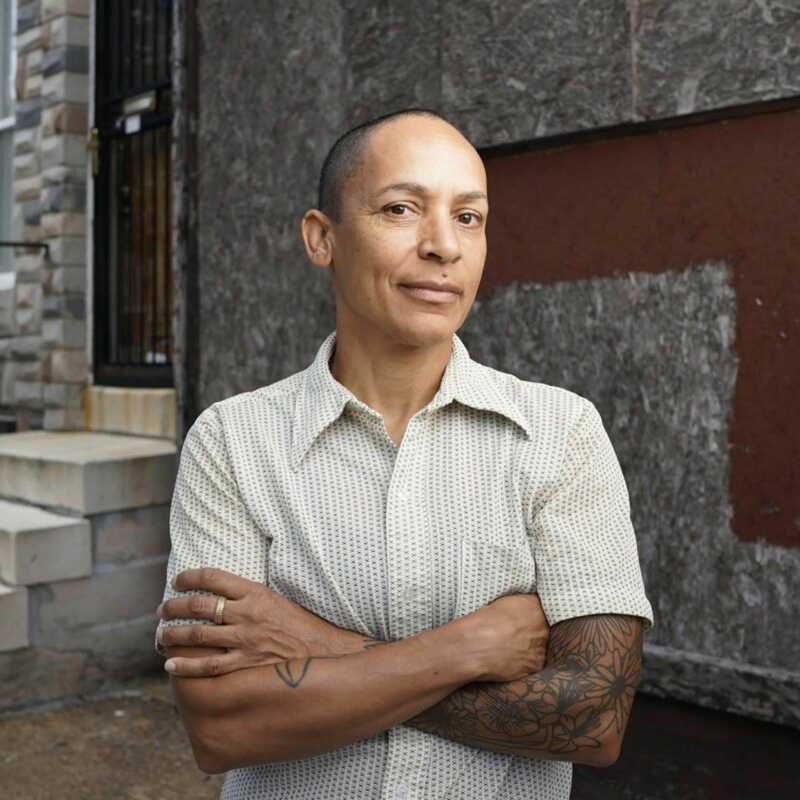 After a long battle, Shelley recently acquired a set of houses that were going to be torn down in the Upton and Druid Heights neighborhoods of West Baltimore. BWBB will be rehabilitating the abandoned homes and learning trades-related work. “We’re building community and building a neighborhood,” she added. Shelley and BWBB take an intersectional approach to dismantle the barriers that work against Black women’s ability to thrive. With BWBB, Shelley is able to strengthen the Black women in her community by sharing her passion, skills and the knowledge they need to reach their full potential. Follow along Shelley and her team on Instagram as they rebuild their community. Learn more about the movement and team behind Black Women Build – Baltimore. 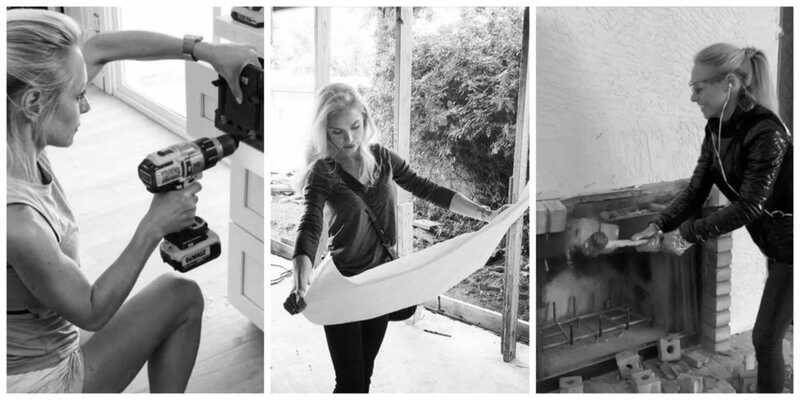 Meet Rachel Cahalan, the founder and tile installer behind Tile By Rachel, LLC. 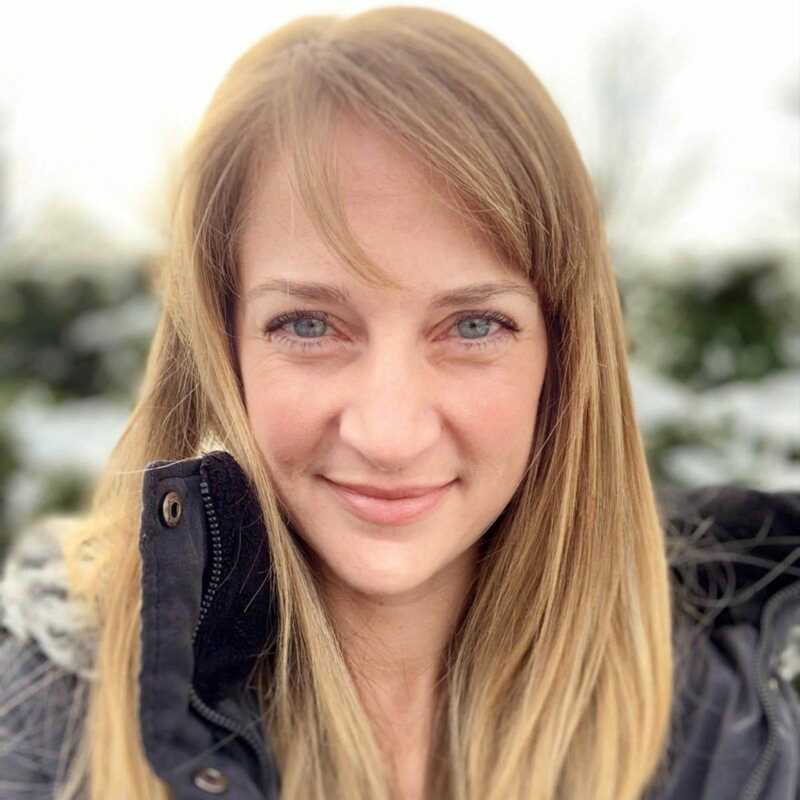 Before Rachel Cahalan put the tile in Tile By Rachel, LLC., her passion for hard work was escaping through the wrong outlet—an office job. “I’d often say I’d take a home project any day over staring at my laptop for hours on end,” Rachel says. 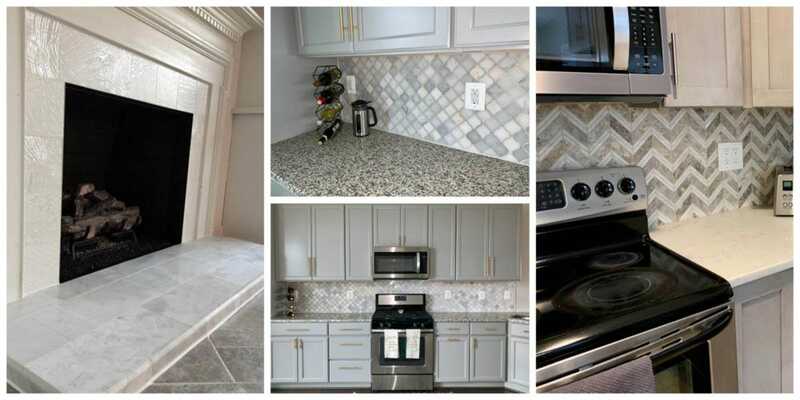 Her passion for home projects led her to complete the tile work in her own home. After successfully completing her own renovations, Rachel knew it was something she wanted to pursue. With encouragement from her realtor and contractor, Rachel continued to test the waters. 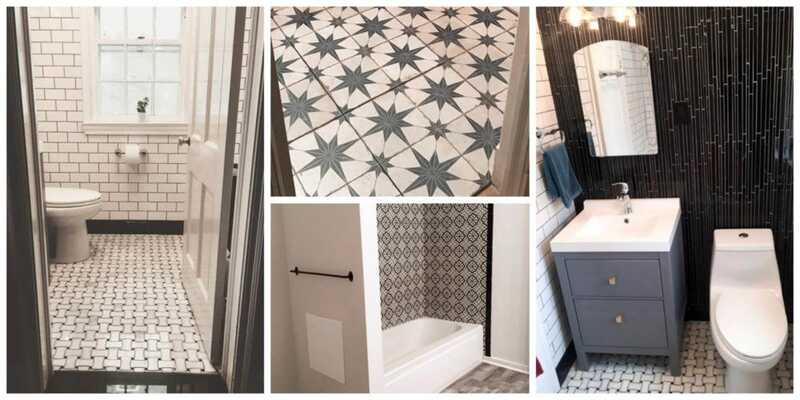 After six short months, Rachel was able to leave her desk job and focus on her tile business full-time. There are certainly times I feel I’m not taken seriously. You can sense it immediately from a client’s hesitation or skepticism from an employee at the hardware store. But there was never a turning point for me to realize I was as strong or as capable. I wouldn’t have entered this field if I wasn’t. It’s a matter of helping others see the truth of the situation. The main obstacles I’ve encountered would be finding the help I need and overcoming a client’s doubt. There have been a couple instances where it was clear the female partner was having to convince the male to hire me. Maybe they just didn’t like my tilework, but I got the distinct impression it was because they felt I would be inferior. Also, I like to think I’m pretty strong, but there are times I’m prying up an old floor and wishing I felt comfortable hiring a stronger stranger to ease the burden. That’s just not possible when you’re working alone as a woman. At least not for me. The better question might be why shouldn’t more women consider this path? There is no reason a woman should-second guess entering this field. I’ve gotten so many surprised or impressed responses from people after starting this business. I understand where they’re coming from, but inside, I’m also thinking, ‘why couldn’t I have done this’? Go for it! Go to workshops, conferences, even tile retailers and find other women. I’m new to this industry and am looking forward to meeting and being inspired by women pursuing excellence in a male-dominated field. Bold, confident women inspire me. She could be my daughter’s elementary school teacher or a justice on the Supreme Court; the industry doesn’t matter. A woman my son and daughters can look up to and aim to be inspires me. Visit Rachel’s Instagram for more unique tile installations. After years of saving to open up her own bakery, Kara Beckmann decided to take that money and invest in real estate. “I took a leap of faith and dove right in,” Kara said. 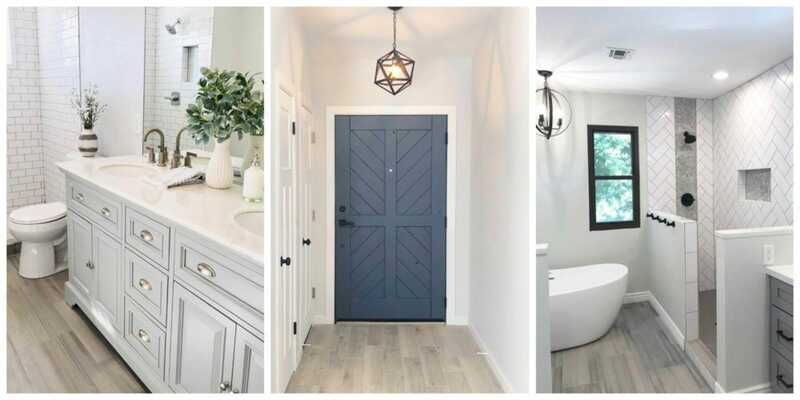 “Most everything I have learned has been from being onsight, DIY and trying new things in all of my remodels.” Kara started Beckmann House with the intent to simply design her own investment properties. Little did she know, the Arizona-based real estate investment company began to blossom, and Kara started taking on projects for clients. “The proudest moment in my career was when I realized that people wanted to work with me to help them with designs in their own homes,” Kara added. Absolutely, and, for that exact reason, I chose to hire contractors to teach me how to do everything that is involved in my remodels. It was the best thing I could have done. The project took twice as long, however, I learned how to properly demo walls, remove tile, carpet and baseboards, wire lights, install new receptacles, install insulation, interior painting and the list goes on. This information came in handy on multiple future projects. When I start a new project with a new [all male] crew, my kindness can easily be mistaken for weakness. I have found a balance between being nice and making sure the job is getting done on time, on budget and up to my standards. There are times on every one of my job sites when I get my hands dirty and work with the crew. This creates an underlying respect between the crew and myself. This career path is unbelievably rewarding. What I love so much about this industry is how many different paths you can take. Every project is a new journey and a blank canvas to create something new. You would be surprised how responsive people are when you are not afraid to put your work out there! Starting anything new is scary, but the first step is always the hardest. Don’t be afraid to create something that you love. Chances are if you love it, others will, too. Women who inspire me are women who are not afraid to take chances on something they are passionate about. It is not always easy to do, so I truly applaud those who overcome fear and make it happen! Check out more of Kara’s exciting projects on Instagram.